The Premier League Relegation battle is one of the most popular outright betting market and you can find here our 2018/19 Premier League relegation betting preview, including predictions, tips, best odds, bookie offers and no deposit free bets to spend on the Premier League season! Cardiff came out of nowhere last season to secure automatic promotion against all the odds after finishind 12th the season before. The Bluebirds are the 7/10 favourites to be relegated and the bookmakers have every reason to believe the will struggle this term. Cardiff have the weakest team in the Premier League on paper and have failed to make significant signings so far. While Fulham and Wolves were promoted with Cardiff last season, the two former teams have invested a lot of money into new players which should see them avoiding relegation at the end of the season. Huddersfield are also expected to struggle despite they managed to stave off the drop last season by four points. After an impressive start, the Terriers won just 3 of their last matches in the top-flight. They have added two attacking options in Adama Diakhaby from Monaco and Ramadan Sobhi from Stoke, but the lack of firepower up front remain their biggest concern. Each of the last six seasons in the Premier League has seen the lowest scoring team relegated. Brighton never really looked like they were going to return to the Championship last season and secured their Premier League status with three games to play. Anyway, the Seagulls managed to win just one of their last nine EPL games and endured a very poor preseason. They have signed AZ Alkmaar’s Alireza Jahanbakhsh, who led the Eredivisie scoring charts with 21 goals last season, as the Seagull looks to improve things upfront. Bournemouth and Watford are the two more seasoned Premier League teams and bookmakers expect them to be involved in the relegation fight. The Cherries finishing 9th and 12th in their last two campaigns and enjoyed a good preseason, with an impressive 5-2 win over Marseille their highlight so far. The will probably finish far from the top six, but we dont expect Bournemouth to be in danger of relegation. Watford has lost arguably one of the club's star men, Richarlison, to Everton and failed to find a valid replacement altough the former Barcelona star Gerard Delofeu has moved to Watford on a permanent basis. The Hornets picked up just 16 points from their last 18 games of last season, an average that will put them in huge trouble this season. Southampton escaped by the skin of their teeth last season, their 17th-place finish ending a run of four consecutive finishes inside the top eight. Their main transfer business this summer has been on goalkeeper Angus Gunn and defender Jannik Vestergaard, suggesting the Saints are set for another season of struggle in front of goal. Crystal Palace finished 11th last season, despite they lost the first 7 Premier League matches under Dutch manager Frank De Boer. They have signed Cheikhou Kouyaté from West Ham, and German international midfielder Max Meyer from Schalke. So there should be no slow start for the Eagles this term, and no risks to be relegated. Newcastle finished 10th last season on their return to the Premier League but we don't expect the Magpies to improve this achievement as another pre-season has passed by without any major signings. The team structure is good and Benitez's men should be able to escape relegation without big problems. Burnley is very solid team. We don't expect them to repeat their 2017/18 heroics but the Clarets are likely to lie around the 10-12th position this year. 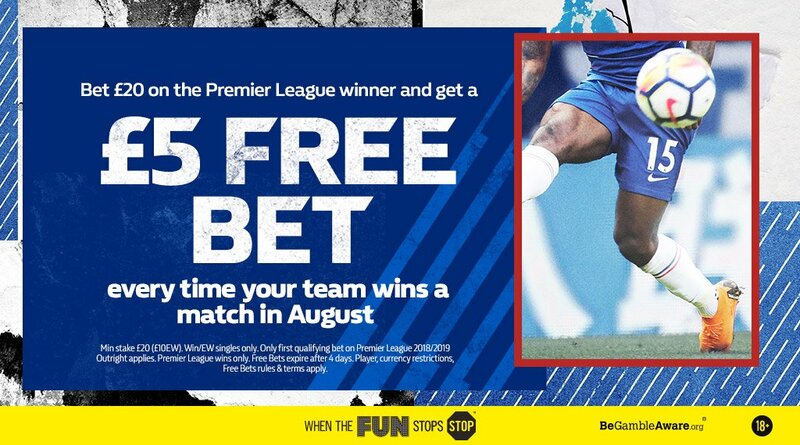 "2018/19 Premier League Relegation Betting Tips, Odds & Free Bets"